Venture out into nature, cruise along fjords and relax in bays. 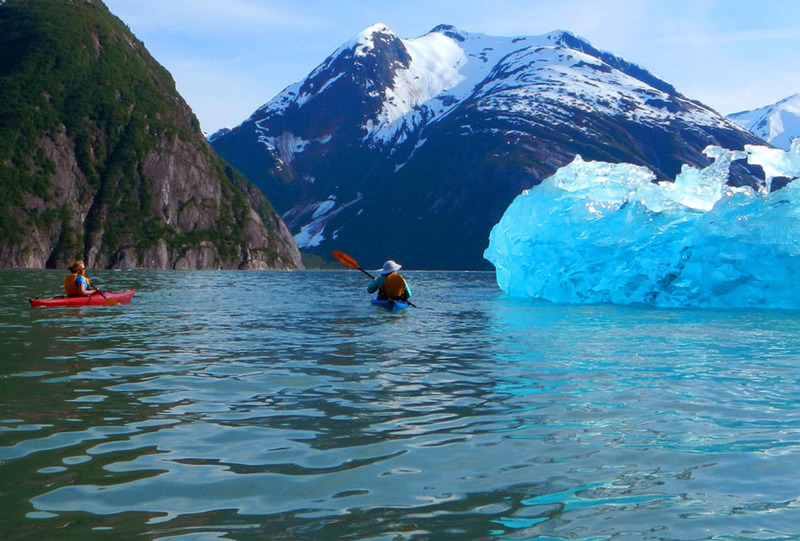 Kayak with icebergs, have a front-row view of Glaciers and glacial calving and enjoy an abundance of wildlife and freshly caught seafood. Soak in natural warm springs to round out the trip while sitting next to a rushing waterfall. As always there will be crab and shrimp pots thrown in hopes of catching Alaska’s finest Dungeness Crabs and Spot Prawns. Enjoy visiting the small Norwegian fishing town of Petersburg on one end of your trip and Juneau Alaska’s beautiful and eventful Capital city on the other. 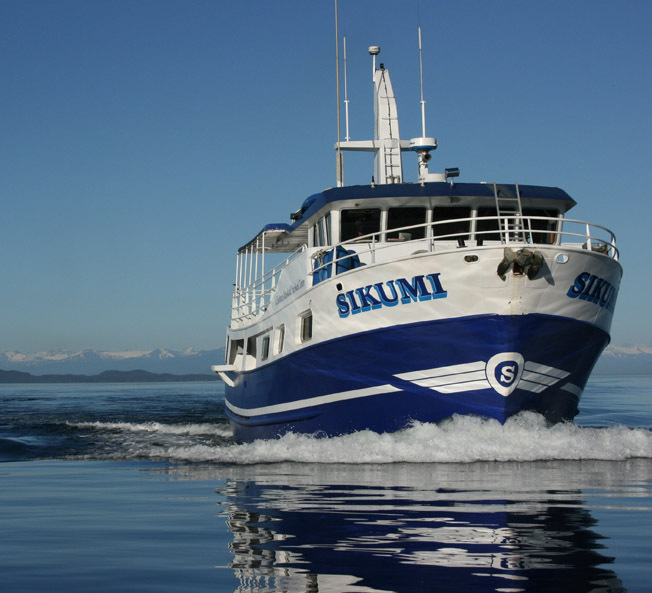 We have found this our most popular trip as it gives a very diverse experience of SE Alaska’s inside passage. Experience this incredible small ship cruise with your entire family by reserving the entire boat. Our ship can accommodate family sizes from 8 – 12 people. But don’t worry about a thing, All activities and meals are included in the cruise price. What To Pack For An Alaskan Cruise? Is one of the first questions that people ask after booking an Alaska small ship cruise. Here at Custom Alaska Cruises we can customize a cruise itinerary based upon what you want to see and do. Cruise Travel Insurance is an excellent way to safeguard yourself from any unfortunate circumstances which may result in you losing the value of your trip. Have more questions that need answered for your Custom Alaska Cruise to begin? We have put together the top questions to suit your needs. A typical Inside Passage cruise will include up-close views of some of Alaska’s most impressive glaciers, phenomenal wildlife opportunities, sea excursions, and round-the-clock fishing right off the deck. These activities and all of our excursions are all-inclusive with every cruise. We have all the equipment (rods, kayaks, rain jackets/boots, etc..) you’ll need to comfortably experience every excursion. 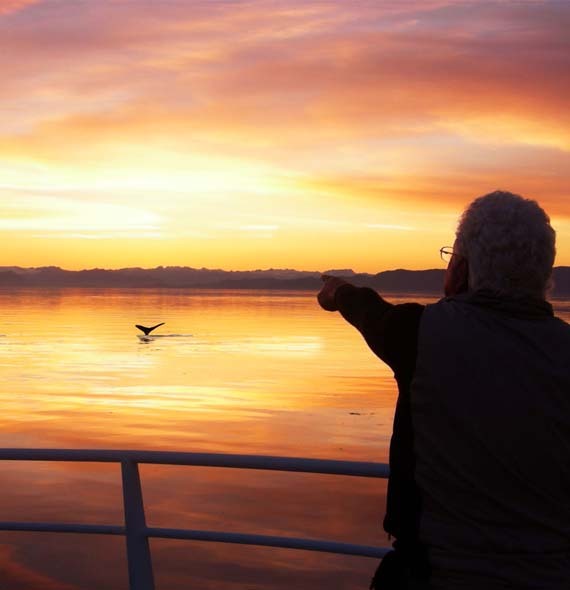 Alaska’s Inside Passage is a special place with something to offer everyone. We take advantage of this fact by offering an almost unheard of amount of flexibility to our passengers. For instance, on a typical trip, part of the family may be enjoying an afternoon nap in their stateroom, while others are exploring outside. Our itineraries revolve around our clients. Aside from safety, our number one goal is to provide each of our passengers with a unique and incredible Alaskan cruise adventure. Whether you’re looking for a private yacht charter for your entire family, a romantic getaway for two, or an adventure to embark upon by yourself, cruising the famed waters of Alaska’s Inside Passage is the best way to experience and explore the Last Frontier. Also, if you’re interested in spending a few nights on land at the start or end of your trip we highly recommend Girdwood’s Alyeska House, located in picturesque Girdwood, just south of Anchorage and the airport.